Photography has to be one of the most important choices when putting together your wedding budget. Hiring a professional photographer can make all the difference between ho-hum and spectacular wedding photos that will stand up to time. We’re all taking photos with our phones and tablets but they just don’t measure up to professional photo. There is so much to consider including the lighting, composition and point of view. Consider the professional that had the idea and took the photo below. 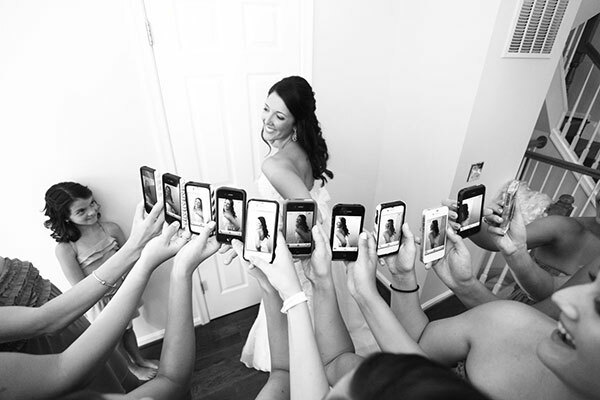 Of course, when using your iPhone / iPad to take photos, be sure to follow proper photo etiquette, especially when it pertains to the ceremony itself.